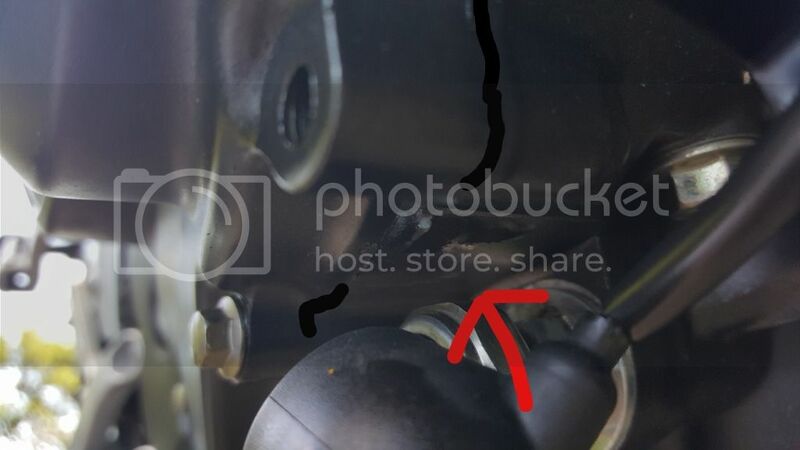 Just bought a bike (first bike) and noticed it was leaking a bit. 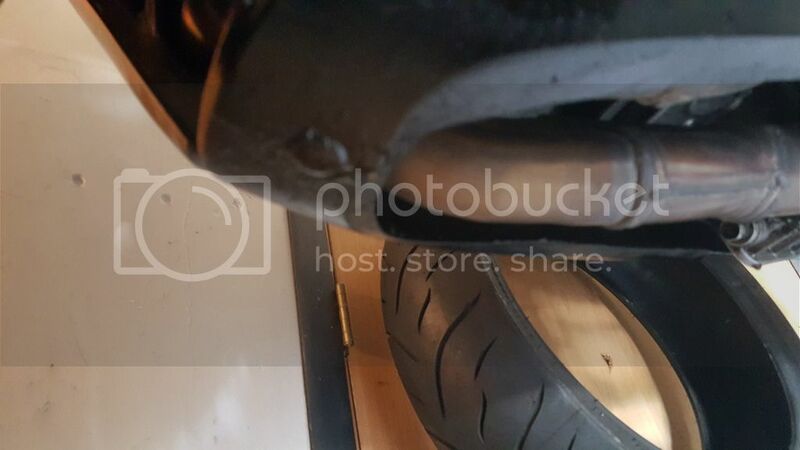 Did a bunch of research and decided today to take off the lower fairing and left it on for a good 10 mins and sit for couple days to check for further leak. 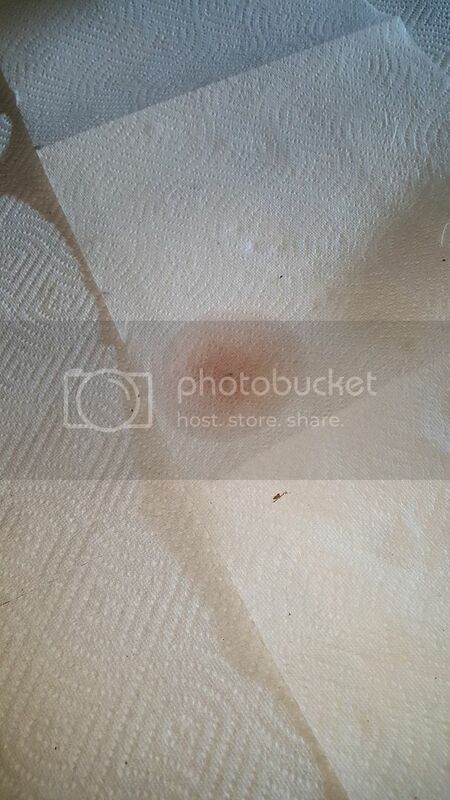 After a couple days i got this... Any idea what this red looking fluid is? So now im just waiting for a leak to show and based from from ive read maybe try putting some pouder on to outline leak stream. Hopefully it was just the gunk heating from maybe older leak. Ive noticed it seems to be more where you drain the oil. 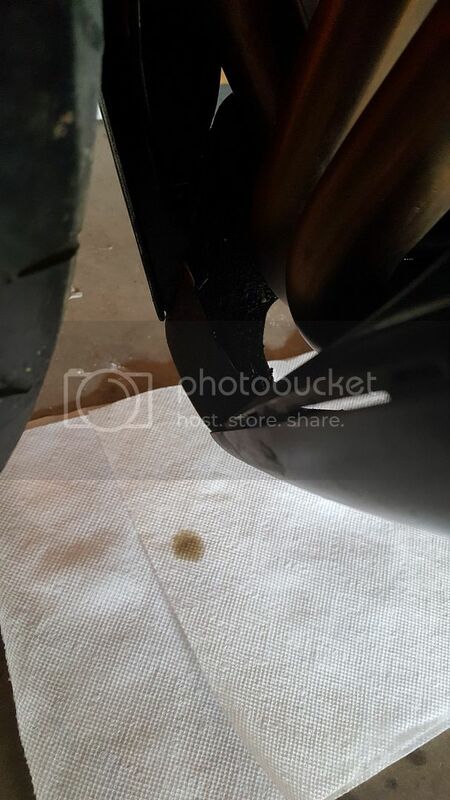 However i did notice a some drops towards the kickstand. Im mainly concerned with the front portion leak. 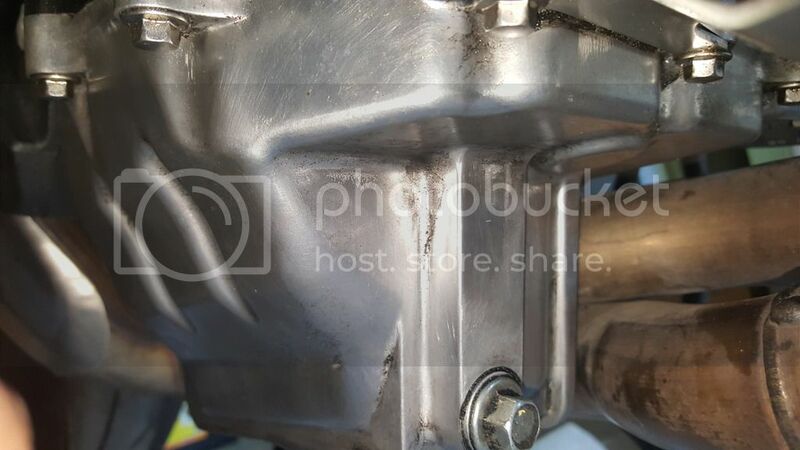 The oil pan i believe (where you drain) i did notice a small drop formed after 10-15 mins of having the bike on but nothing huge and just leaving the bike alone for a couple days doesnt produce a huge leak. Its more happening over a longer period of time and after ive turned on the bike. Anyone have any extra tips to try or certain places to keep a special eye on. Im not a mechanic in any shape or form lol. Also how worried should i be of this problem? Last edited by NoahTechJunky; 06-18-2016 at 09:26 PM. That looks like a normal amount of gunk/grime for something exposed to the road, except for any oil that is fresh/dripping. That's an issue. You're right to clean the area; I'd said go further if you can, maybe get into crevices with a q-tip. If the oil is coming from somewhere else, that's a different problem. 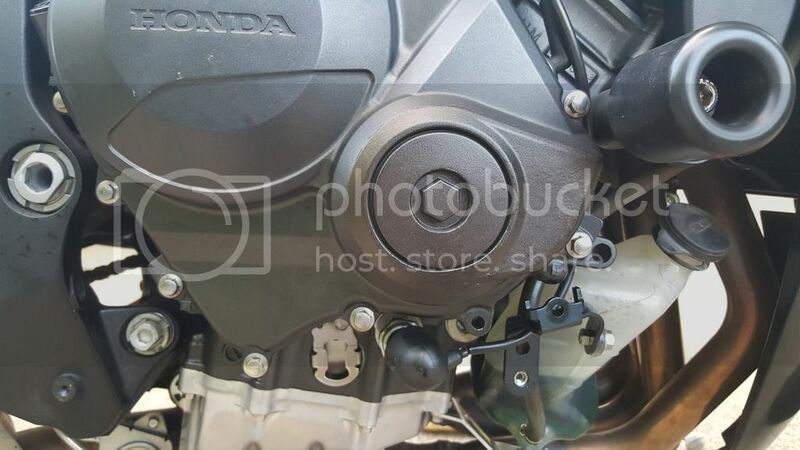 the old oil filter gasket will sometimes stay stuck to the engine surface. This makes for a double gasket when you put new filter in place. Looks like my oil lol which is redish color for some reason however still dont know where its coming from. Doesnt taste, and doesnt really feel like lube. Feels like just water. Last edited by NoahTechJunky; 06-18-2016 at 09:28 PM. Motul 7100 4t is red in color. I forget what that plug is... 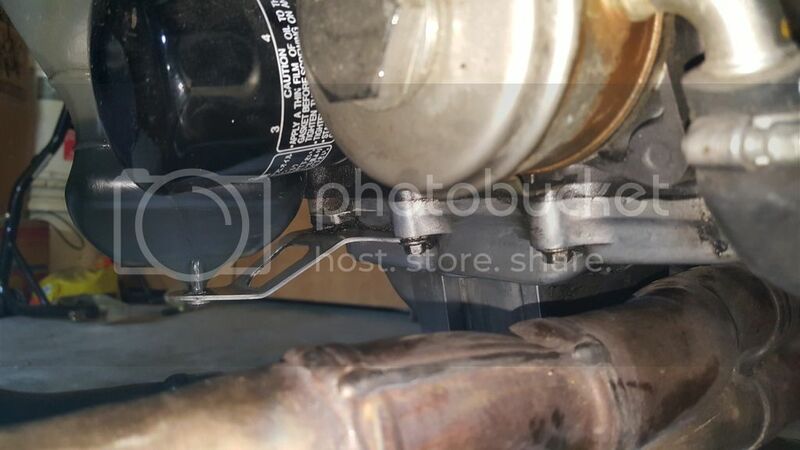 I want to say it's the sensor for low oil/oil pressure fault? also the 300v is the same. 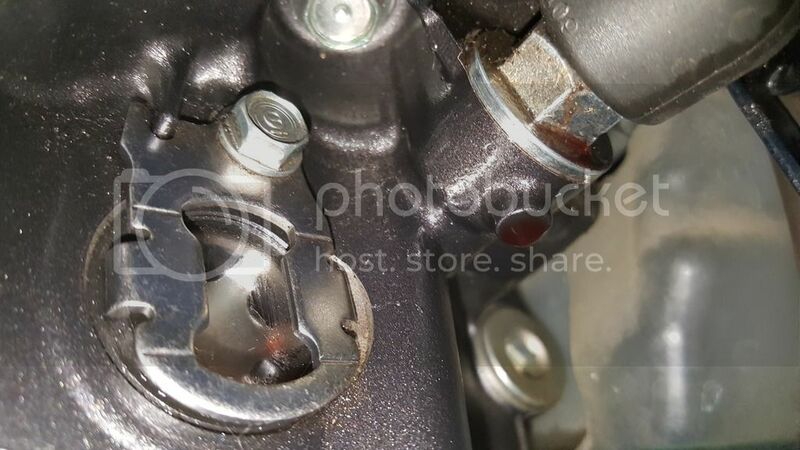 Any Body know what this part is? (btw i took the screw out to get a better view of it and move what ever that tank is under there out of the way. Good work, I have good news and bad news. 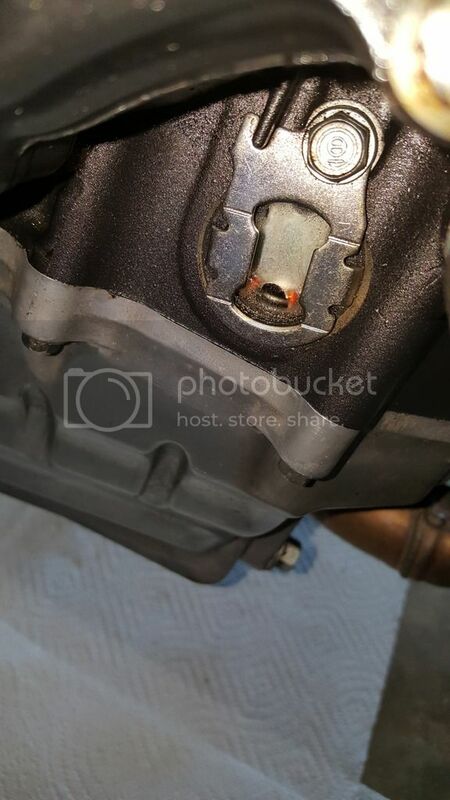 The good news is, that yes, this is where the clutch cover meets the engine case and can leak if it was not sealed correctly last time, and probably means nothing is broken or damaged (probably.) The bad news is, fixing this is a bit of a pain. 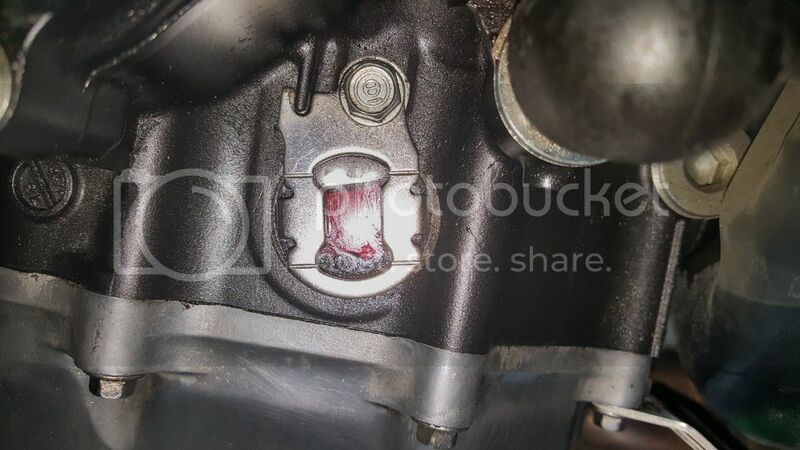 A little liquid gasket goes a long way, You don't want excess to flake off inside the engine after it dries. Also, those bolts can strip easily if you use gorilla strength on them. Be careful when tightening. 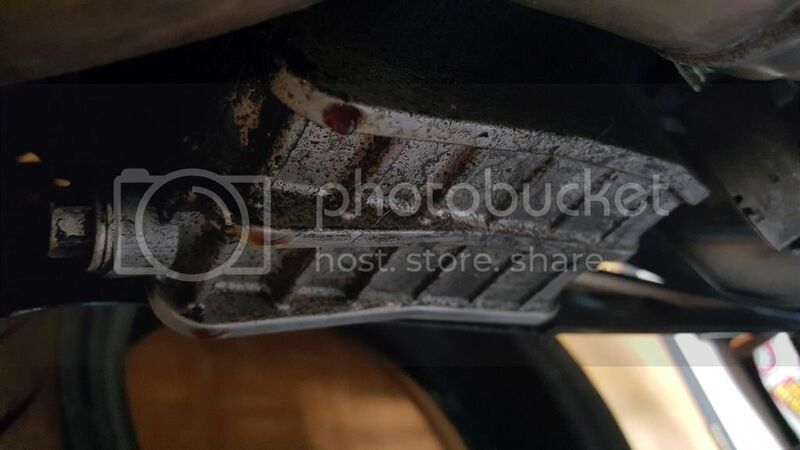 The fact that it is leaking means the clutch cover was most likely pulled off at some point by a previous owner, maybe because of damage. It's doubtful it has been leaking since from factory. You can use a razor to clean off residue of the old gasket material left on the casing. You can also use brake cleaner with a scotch bright green pad to further clean the mating surfaces to make sure they are clean. This is one of the most important things you want to do since it was leaking.